We very much enjoyed the Flower and Garden festival this year at Epcot. 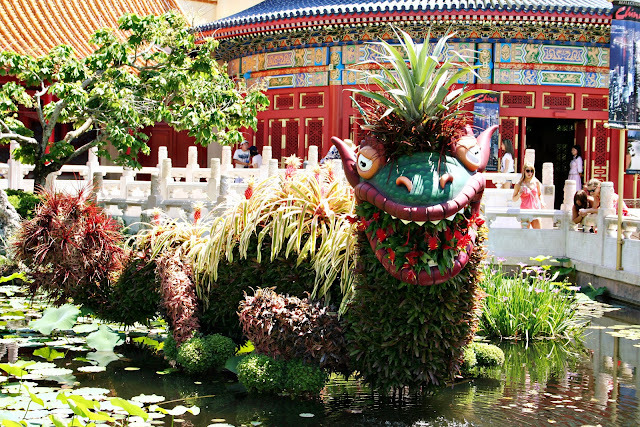 My favorite of the topiaries was the dragon in the lily pond in China. I loved that every few minutes, the topiary would "breathe" by misting the flowers in its mouth.